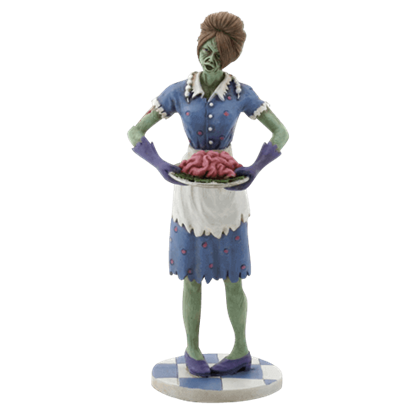 Welcome the shambling hordes of the undead into your home without the danger. 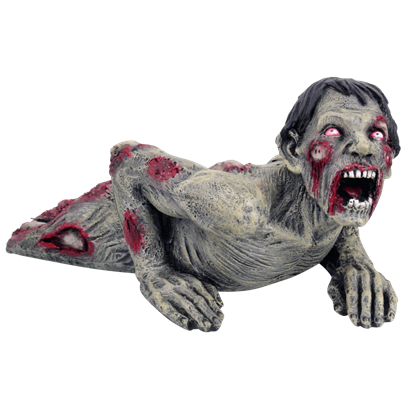 Shop all our zombie statues and figurines at Zombies Playground! 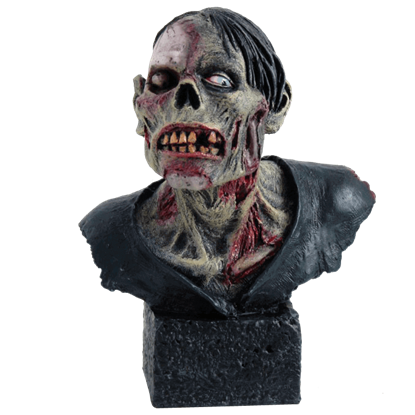 Whether you are searching for a funny zombie figure to place on a shelf, desk, or table, or you seek something truly macabre, like a gory crawling zombie statue, to add fresh horror to your decor, you will find what you are looking for here. 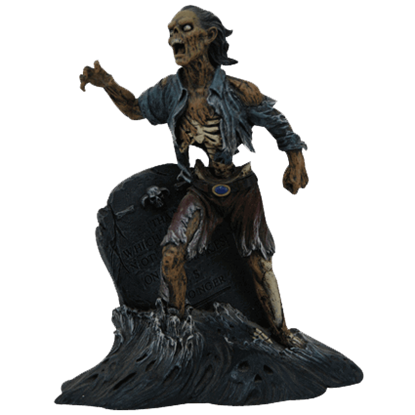 We carry a wide range of zombie statues here, and all are fantastically detailed, many painted by hand. 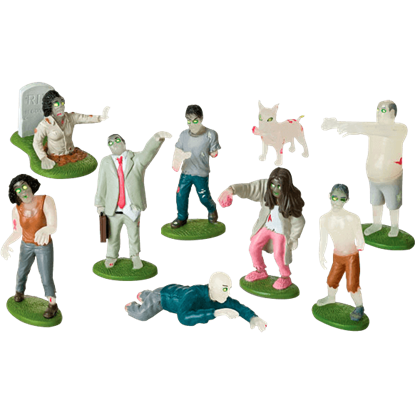 Check out zombies emerging from the grave, standing by tombstones, or crawling from the earth as well as quirky zombie couples, zombie sheriffs, zombie waitresses, and even zombie dog statues! 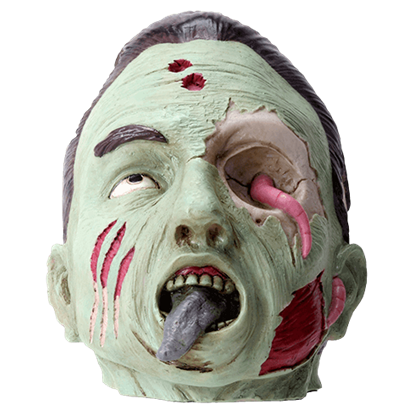 We also have impressive zombie busts and zombie hand sculptures that will add unique eeriness and fun to collections and displays. 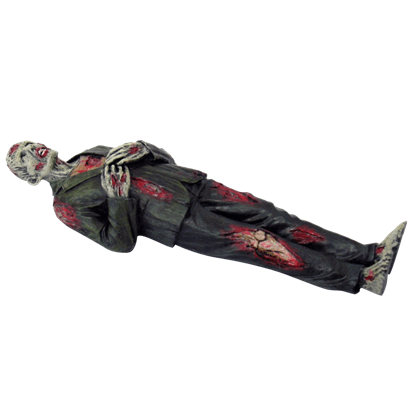 Shop here for all zombie statues, figures, and sculptures. 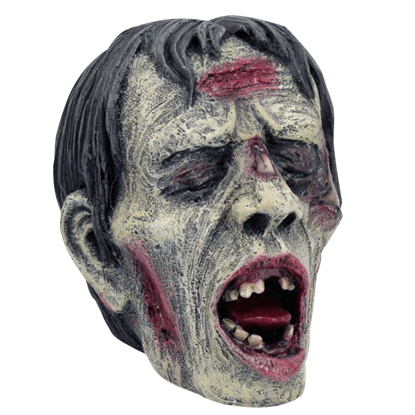 Rather than referencing a sound that it actually makes, the name of this Groaning Zombie Head is a direct correlation to the expression it features, as well as the sound that would accompany such a wide-mouthed expression on a zombie. 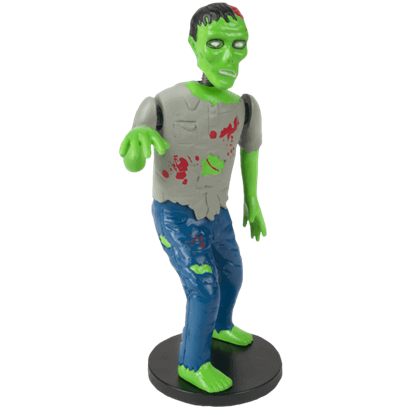 Almost like a scene straight from horror, this Ground Burster Zombie Hand Figurine depicts a decayed hand as it emerges from the ground. 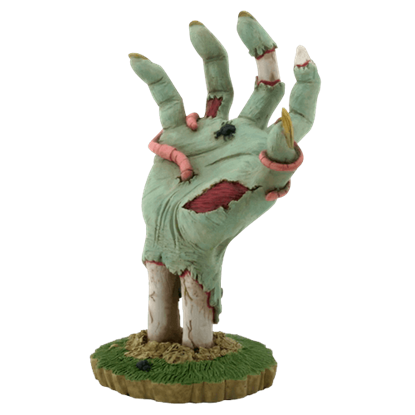 Unlike iconic zombie style, this hand has vivid color that lends it a more light-hearted tone. Rather than crops, this farmer has found a more sinister food to harvest. 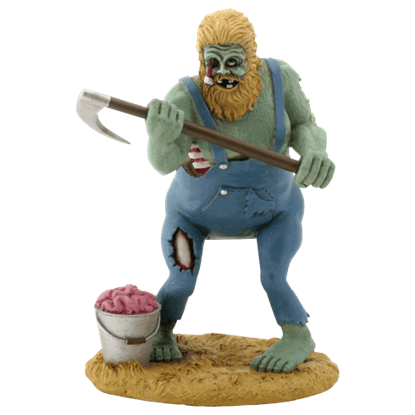 The Hillbilly Harvest Zombie Statue depicts a coverall-wearing farmer holding his scythe with a bucket of pink brains at his feet.